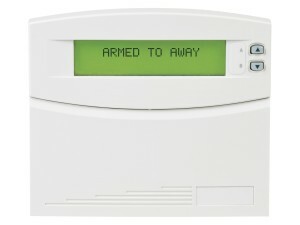 Without a doubt, home security systems provide an irreplaceable sense of safety and security to residents of Marlborough and Natick, Massachusetts. Your home is likely your largest and most important investment, and you owe it to yourself to invest in a security system that will provide you with that unparalleled feeling of safety, whether you’re at home or away. At VMA Electric, we’re proud to serve homeowners throughout the MetroWest area by installing among the most advanced security systems on the market, and we’ll be pleased to install one of our fine offerings for you and your family. Also, if you’re a business owner and are looking for security systems to protect your office space, information, and assets, there’s no need to turn anywhere else. VMA Electric can provide a variety of security systems and monitoring services for your business, as well. Plus, we can also install smoke detector and fire alarms to keep your facility up to code. So, regardless of your home or business security system needs, VMA Electric has you covered. To find out more about the different types of home security systems that we install and monitor, please contact VMA Electric today. We’re pleased to serve homeowners throughout Marlborough, Natick, and other MA communities.